Inside: How do you get a teacher/life balance? How do you take care of yourself as a teacher? How do you avoid teacher burnout? 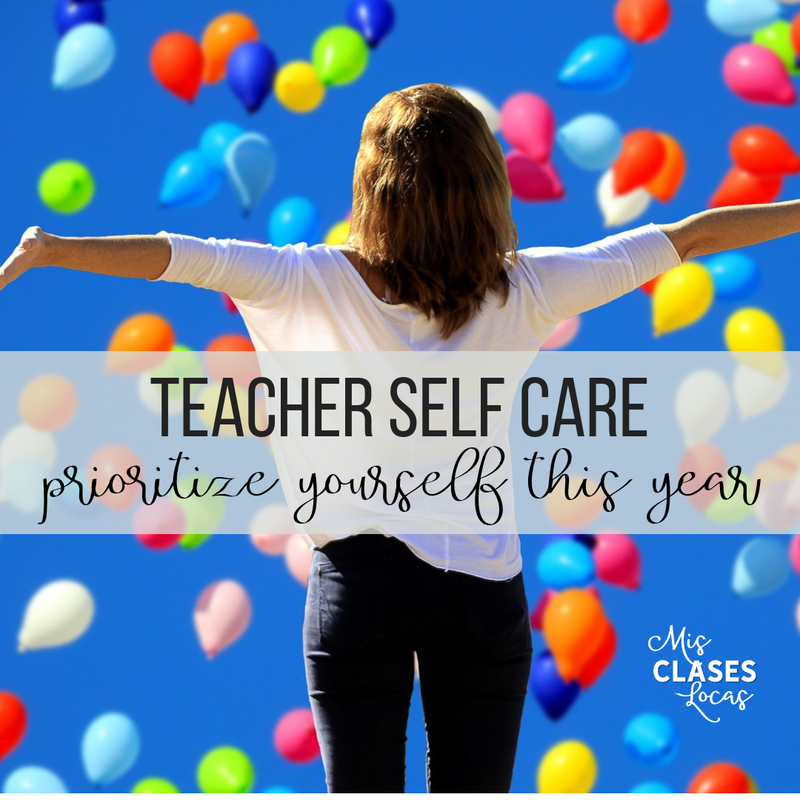 Teacher self care is the answer. 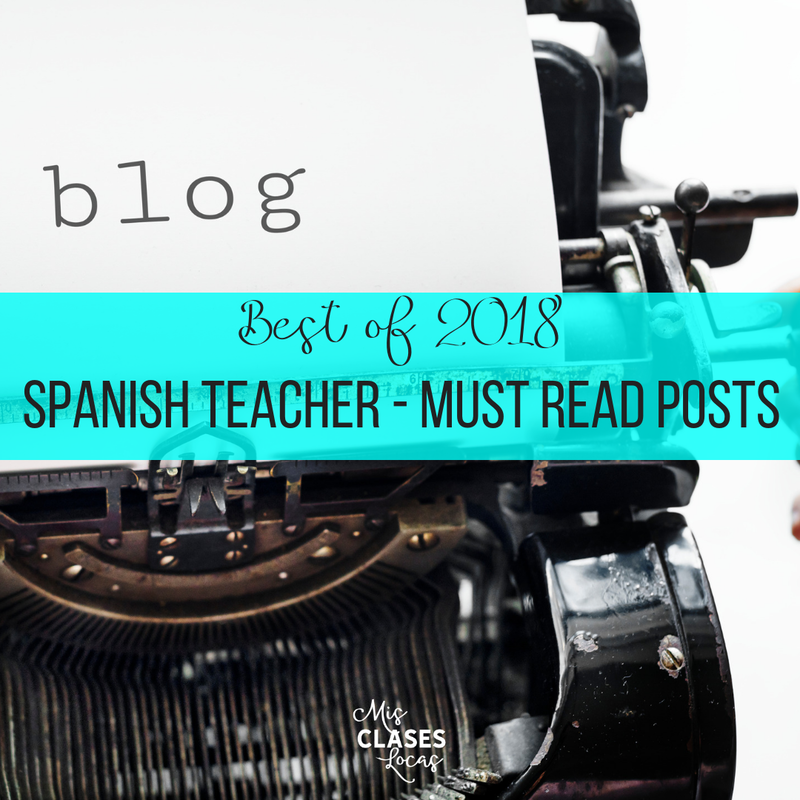 Inside: The best posts of 2018 from Mis Clases Locas. 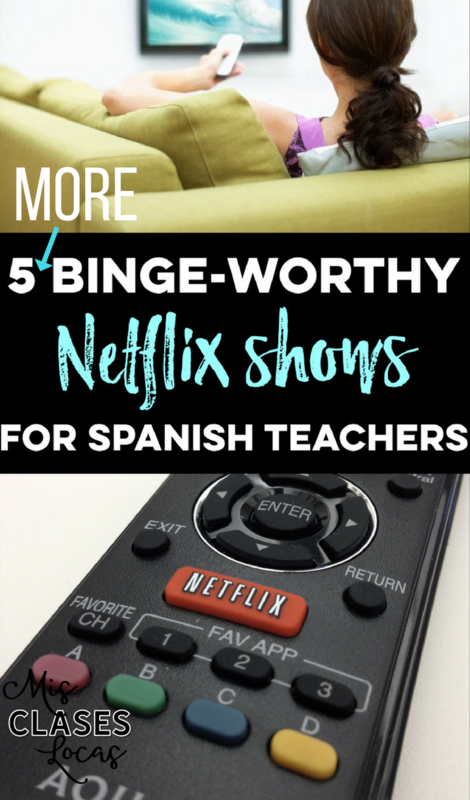 Binge worthy Nextlix shows for Spanish teachers, advice to first year teachers, using high frequency words, Quizlet Live Relay Races, Coco in Spanish class and much more. Inside: A typical day teaching a novel in Spanish class. 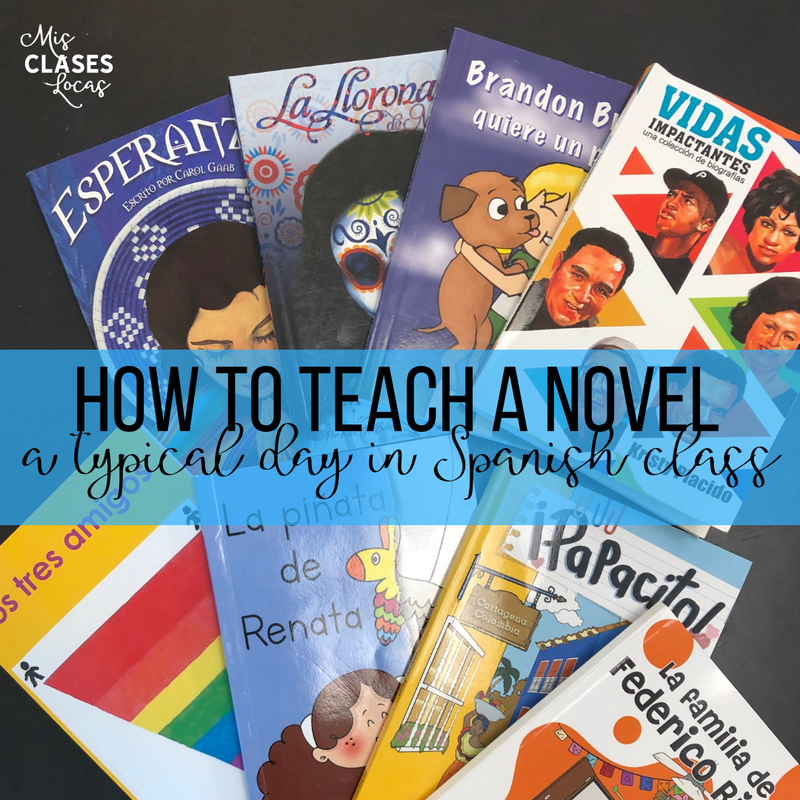 How to teach a novel in Spanish class. 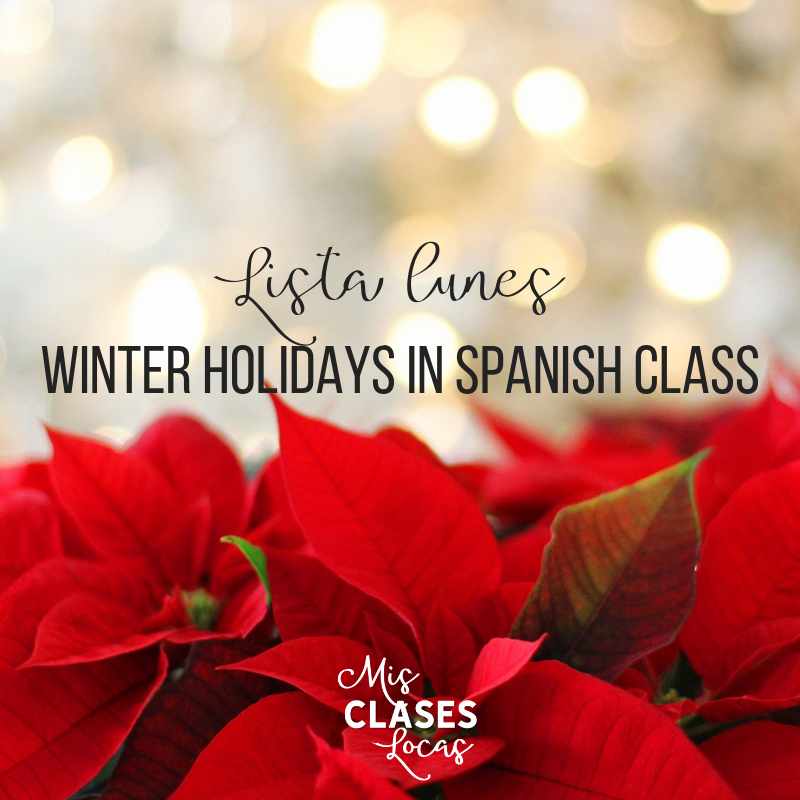 Inside: Ideas for Winter Holidays in Spanish class. From the Spanish Navidad Commercial Madness, to the Christmas Lottery, to 3 Kings Day, and everything in between. 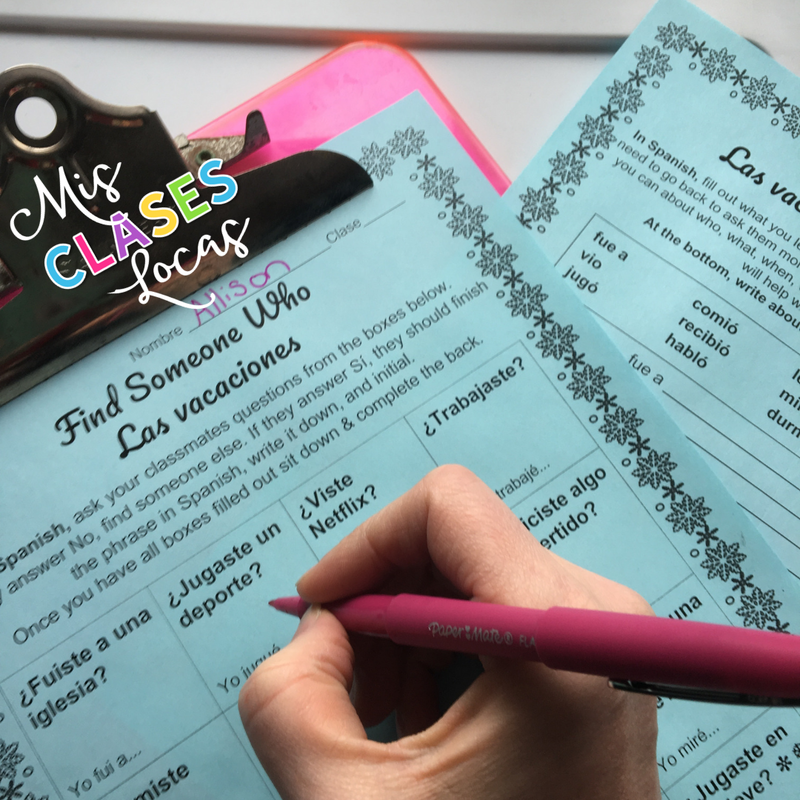 Hopefully you will find the answers to the questions: "What to do in December in Spanish class?" "What to do the day before winter break?" and "What to do the day after winter break in Spanish class?" 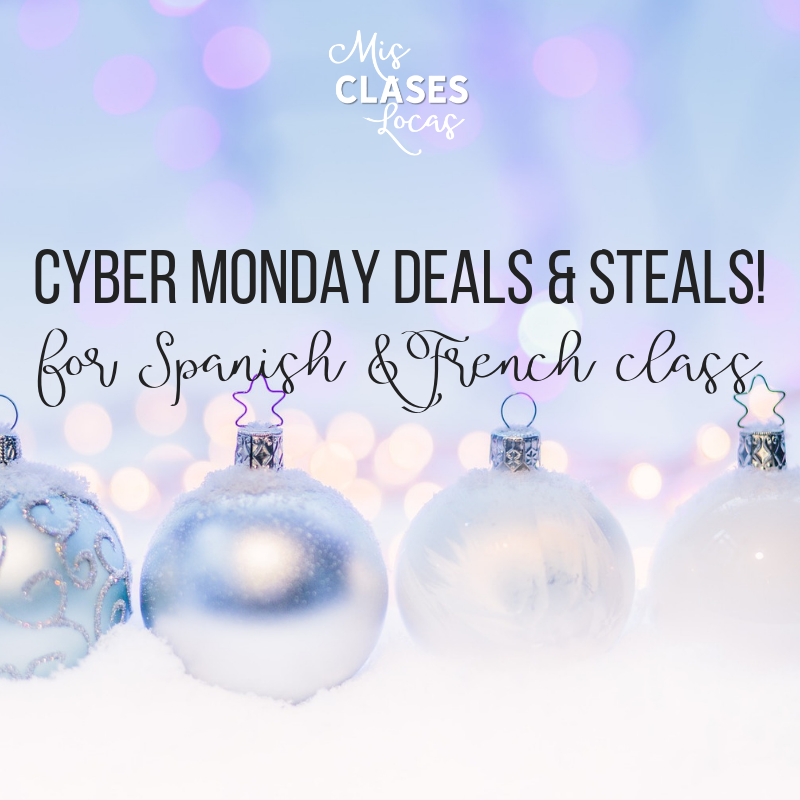 Cyber Monday Deals & Steals! 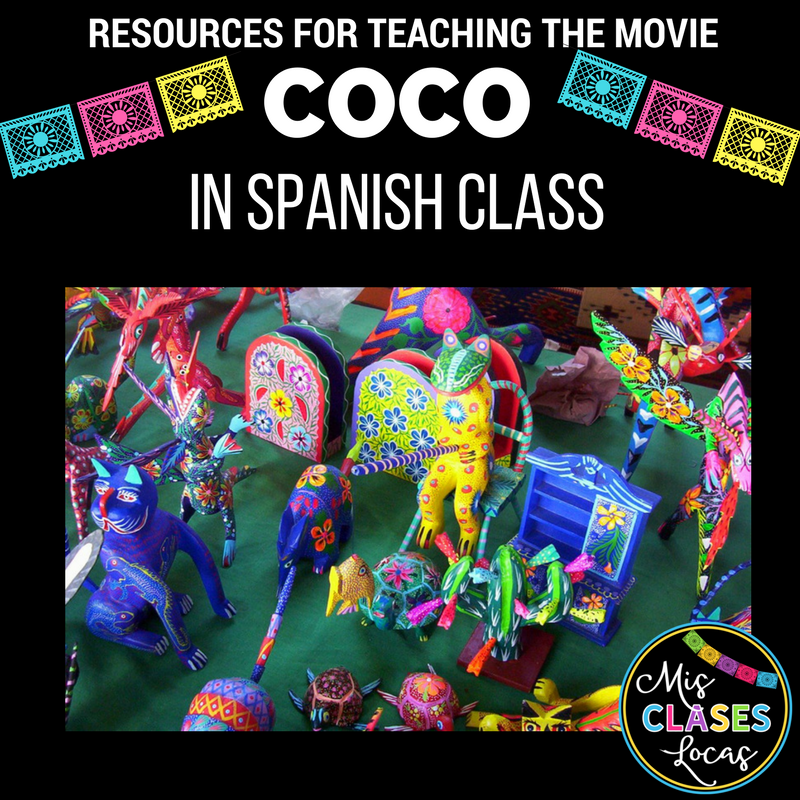 - resources for Spanish and French class to save to TIME! 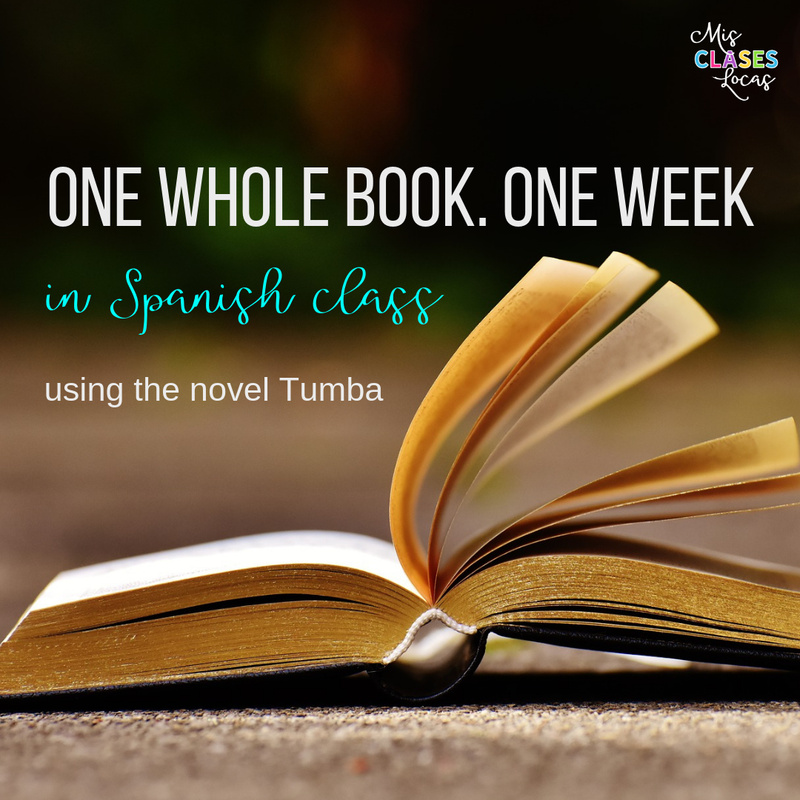 Inside: Reflections on trying something new and reading Tumba, a full class Spanish novel in just one week. 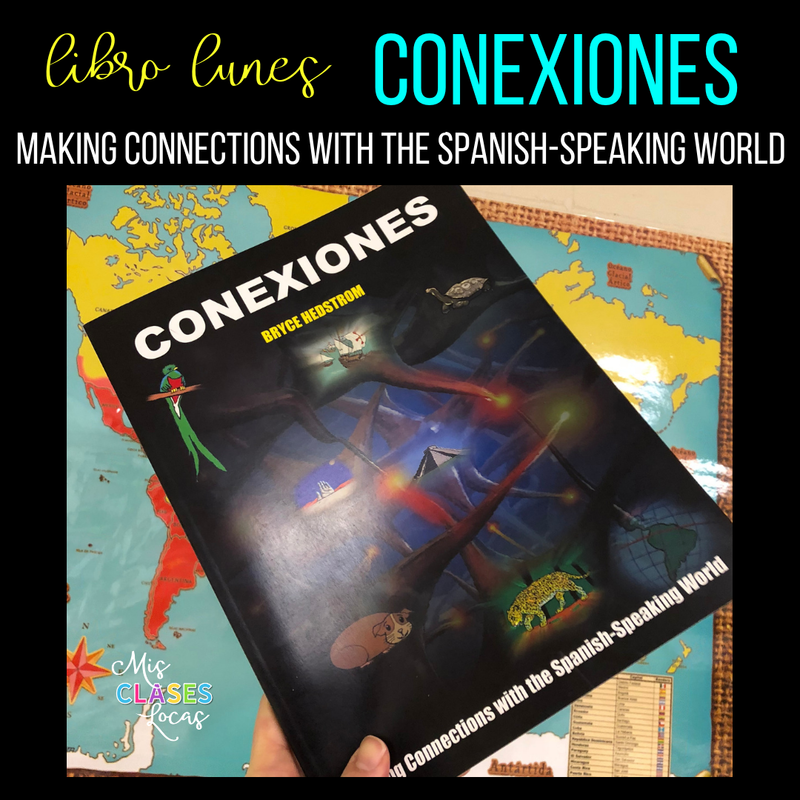 Inside: a non-fiction book for Spanish class you need for your classroom library! 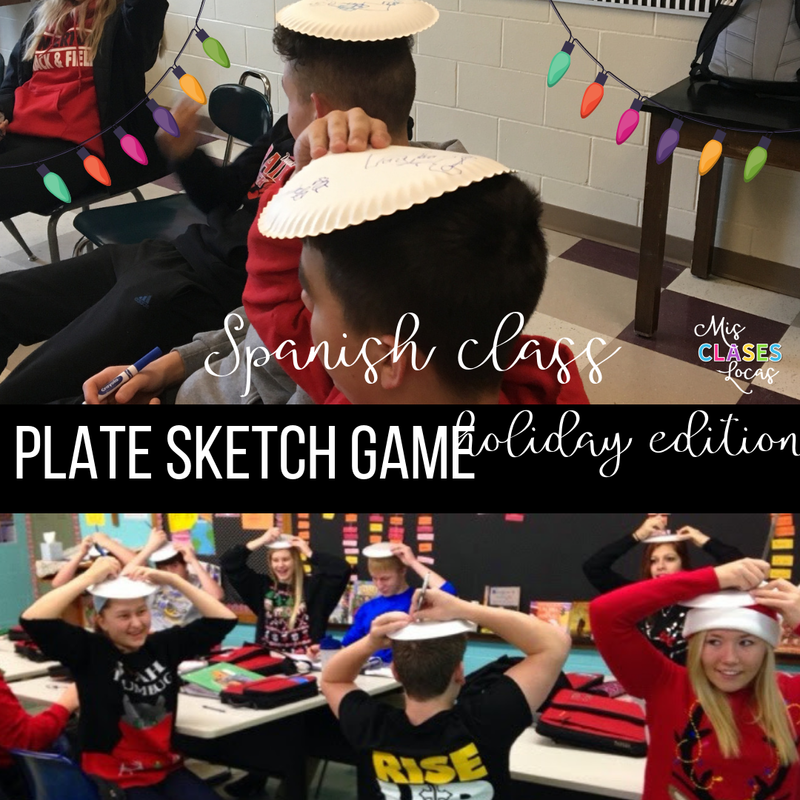 Inside: Ideas from around the web for Thanksgiving in Spanish class. Inside: An easy Thanksgiving bulletin board for any class. The perfect way to talk about what you are thankful for in Spanish class. 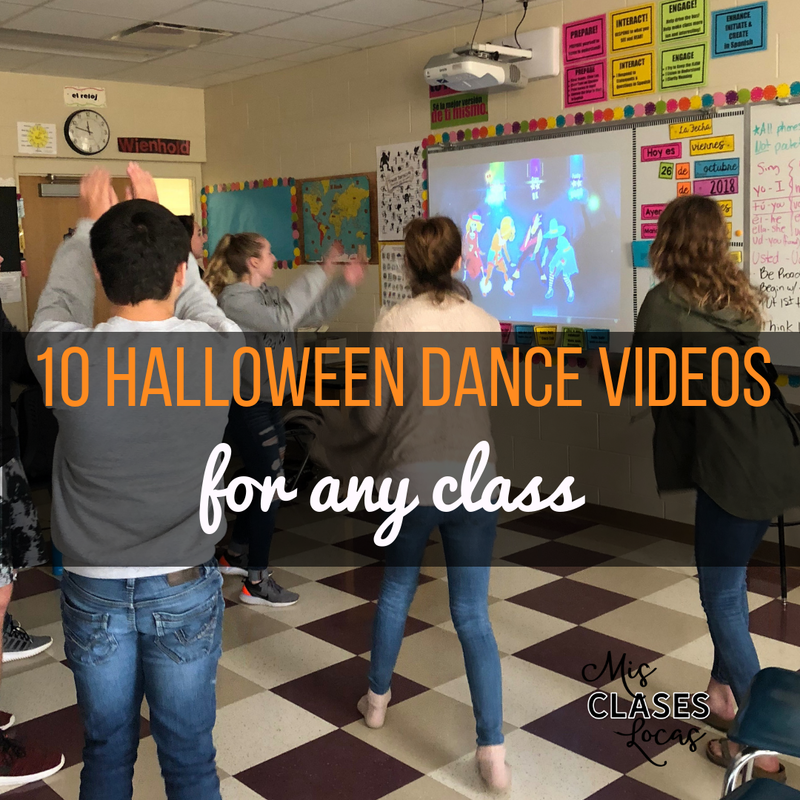 Inside: Halloween Just dance videos for any class brain break. Dance out that sugar and Halloween wiggles with goofy Halloween dance songs. 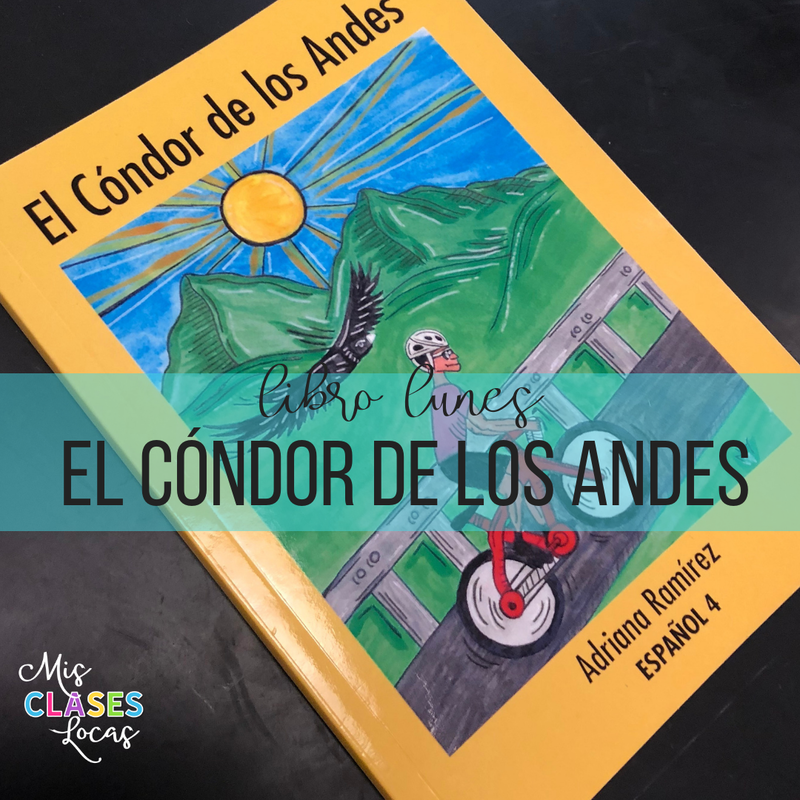 Inside: A review of Adriana Ramírez's novel for upper level Spanish class El Cóndor de los Andes. 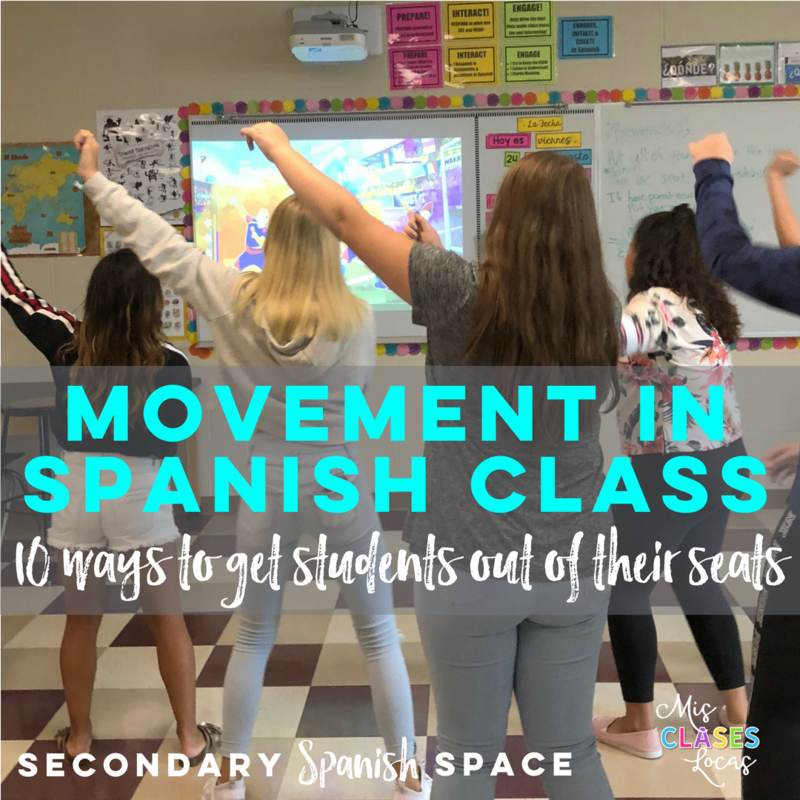 Inside: How to get your Spanish class moving. 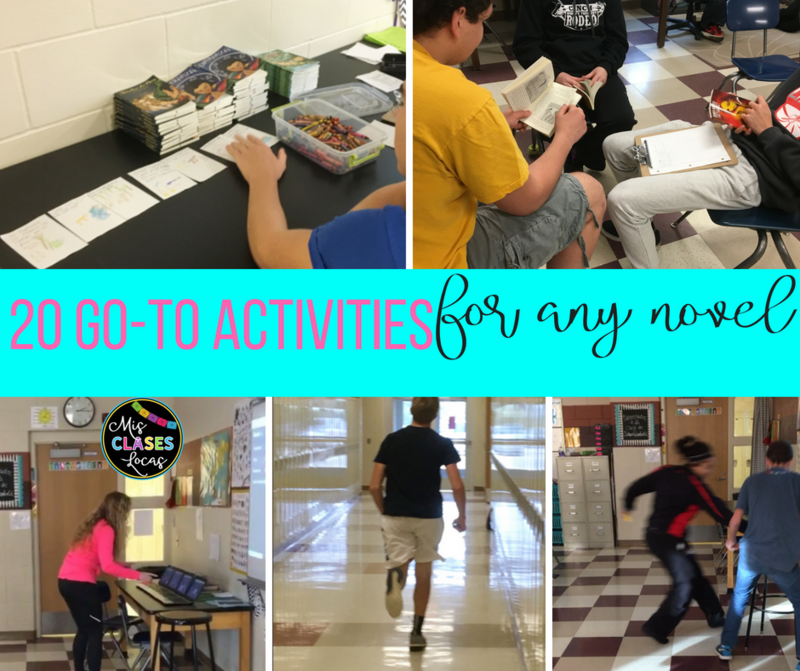 10 ideas to get students out of their seats and moving around the classroom. 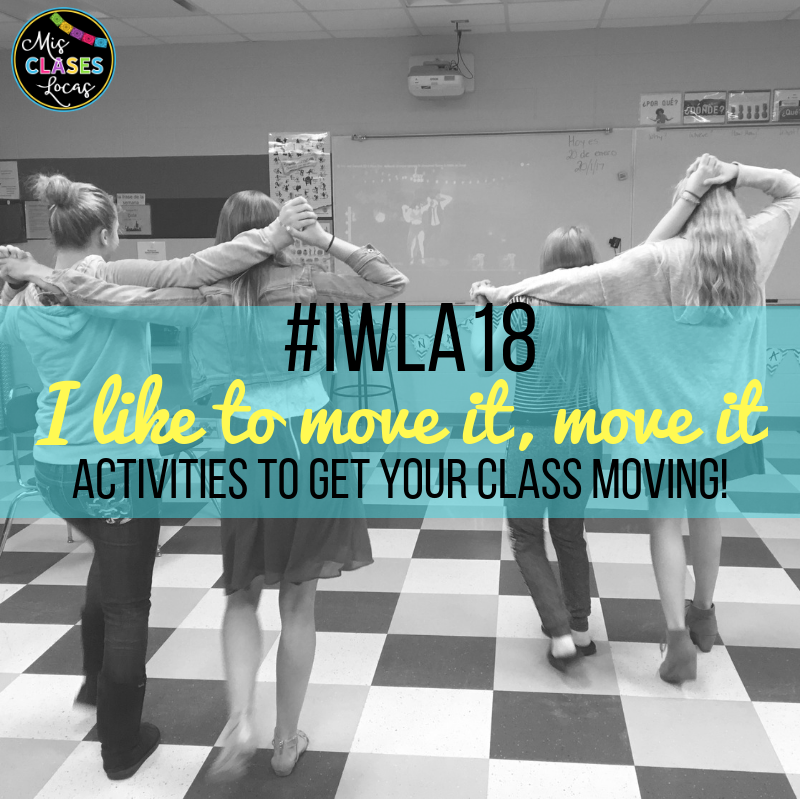 Inside: Resources for the All-Star ILWA18 presentation (C)I Like to Move it, Move it from Allison Wienhold. Inside: Neflix shows in Spanish that Spanish teachers will want to binge watch. 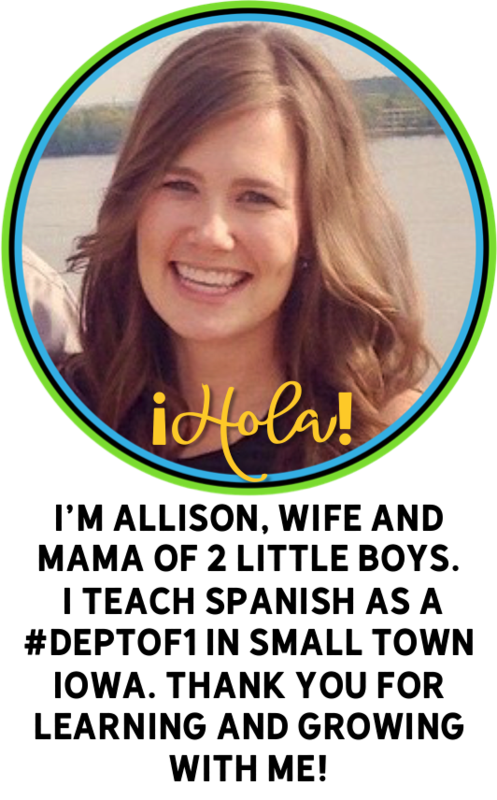 Inside: Get your students moving and speaking Spanish with Find Someone Who people hunts. These interpersonal speaking activities are no prep and easy to use. 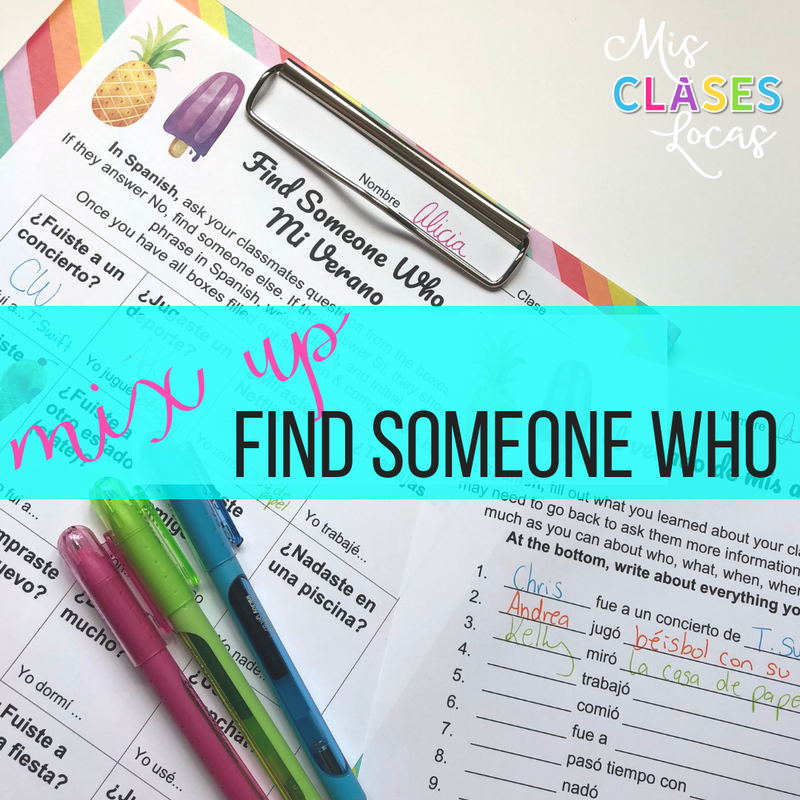 Mix up how you Find Someone Who. 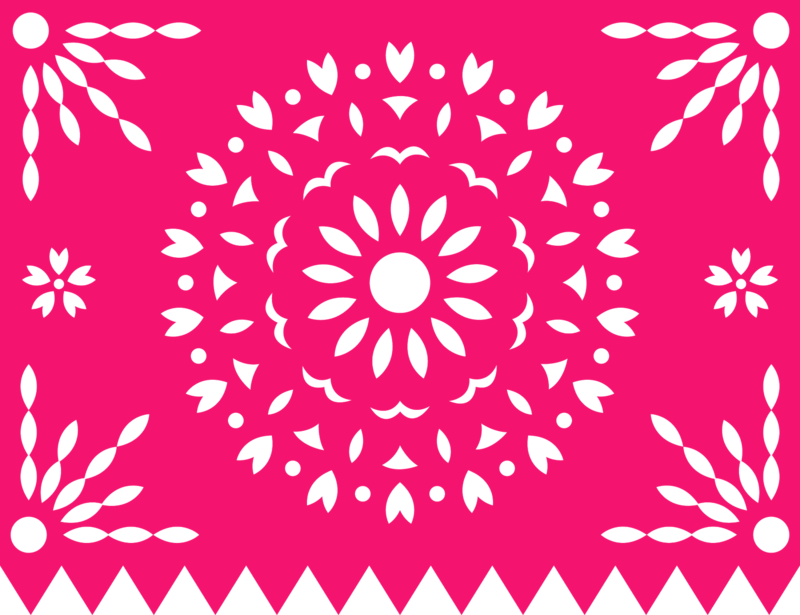 Inside: Resources for Day of the Dead in Spanish class. Día de los muertos en la clase de español. 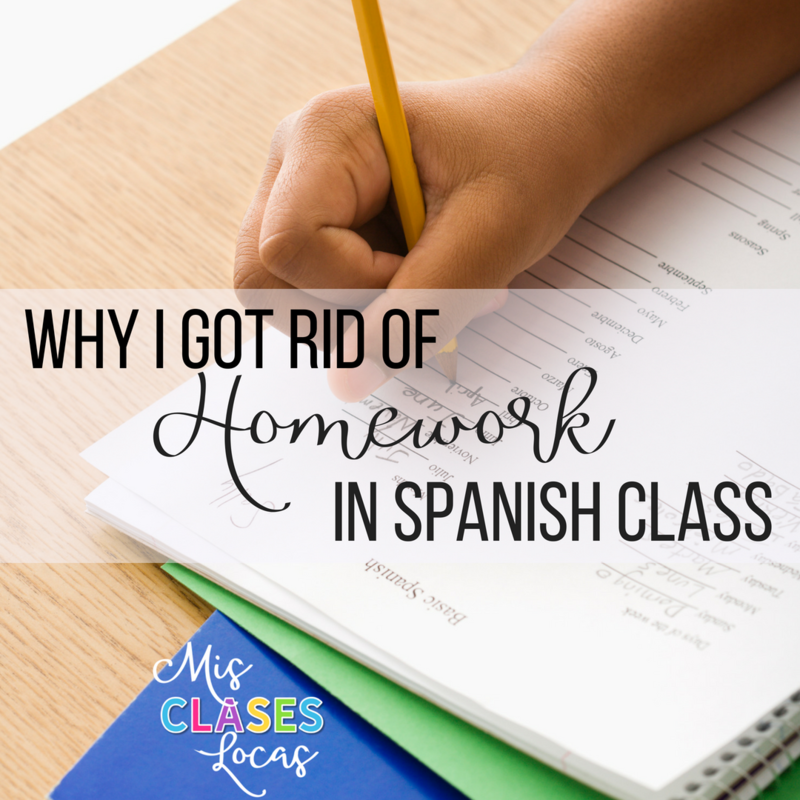 Inside: Why I ditched homework in Spanish class. Inside: Music Madness for Hispanic Heritage Month. 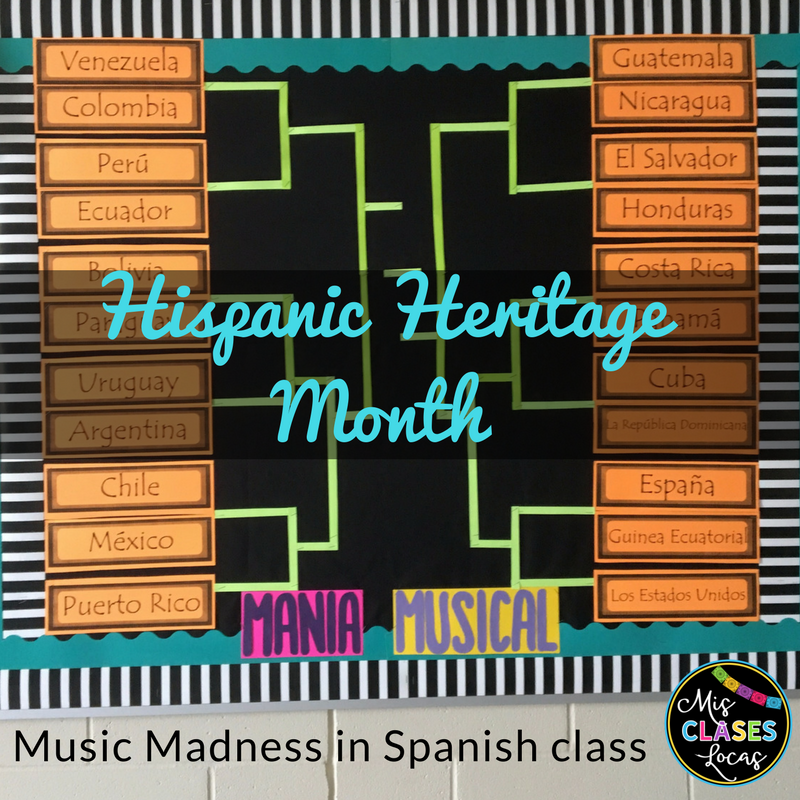 A music bracket for Spanish class to mix up the fall and celebrate the diversity of the Spanish speaking world. 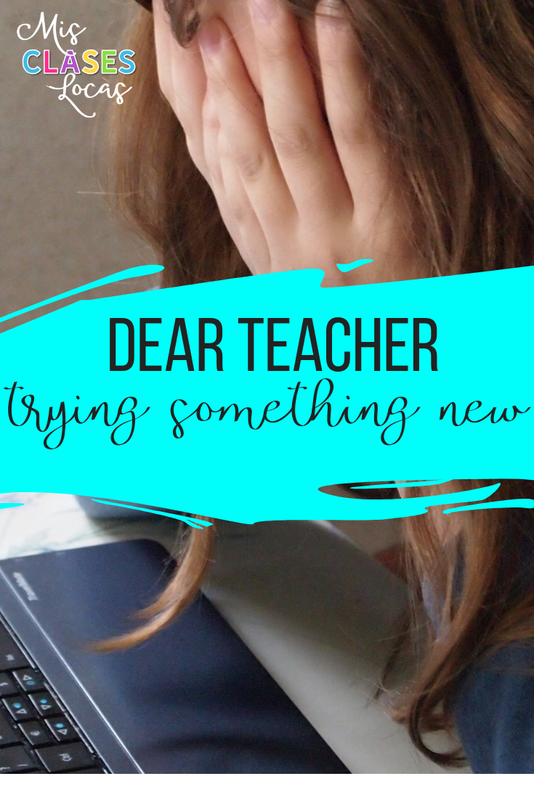 Inside: An open letter of support to a teacher trying something new this school year. 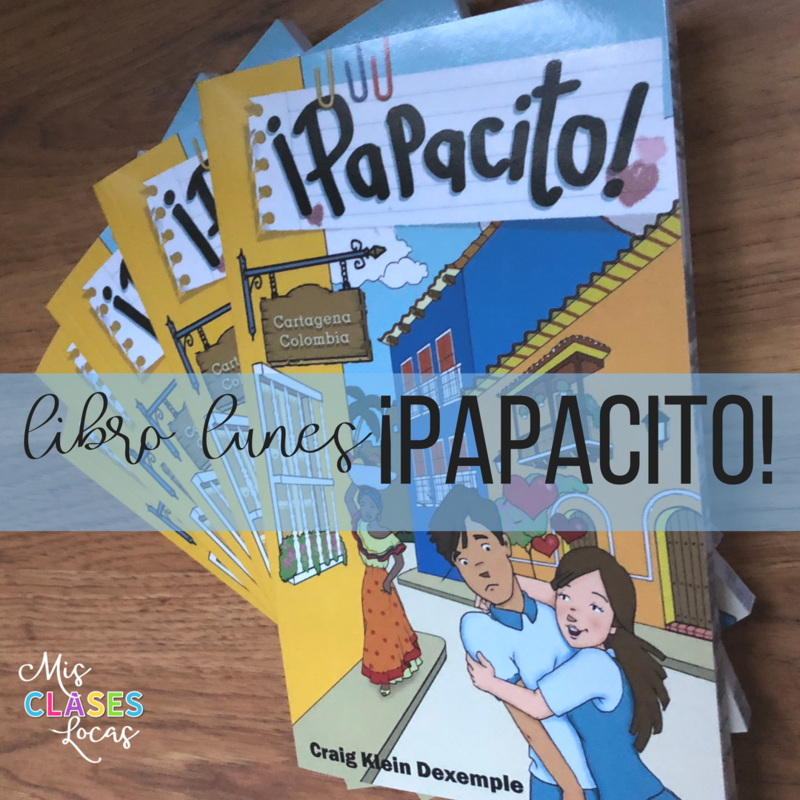 Inside: Why you need the novel ¡Papacito! 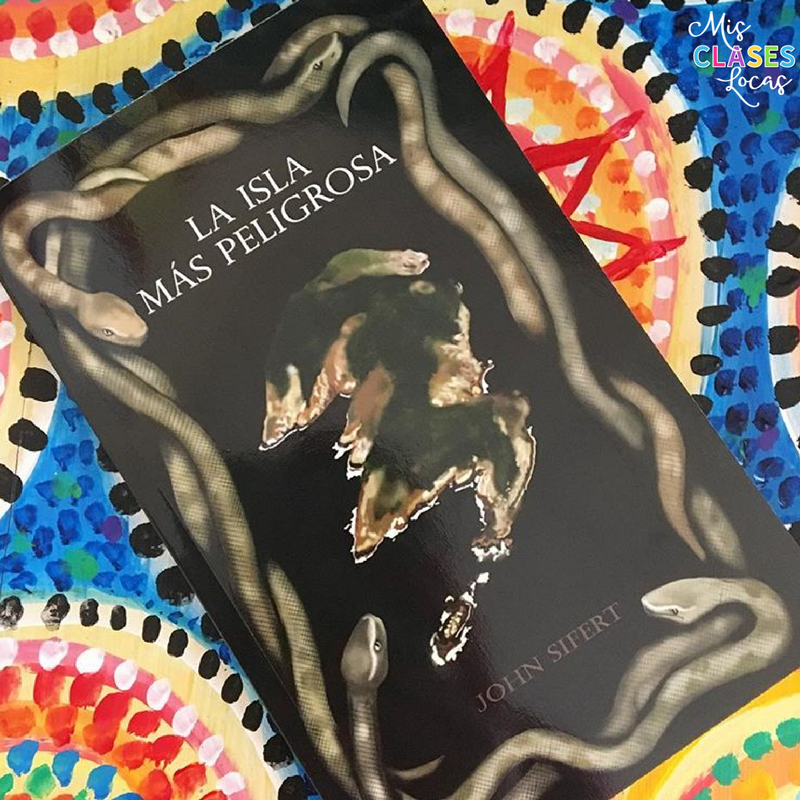 from Spanish Cuentos in your free reading library. 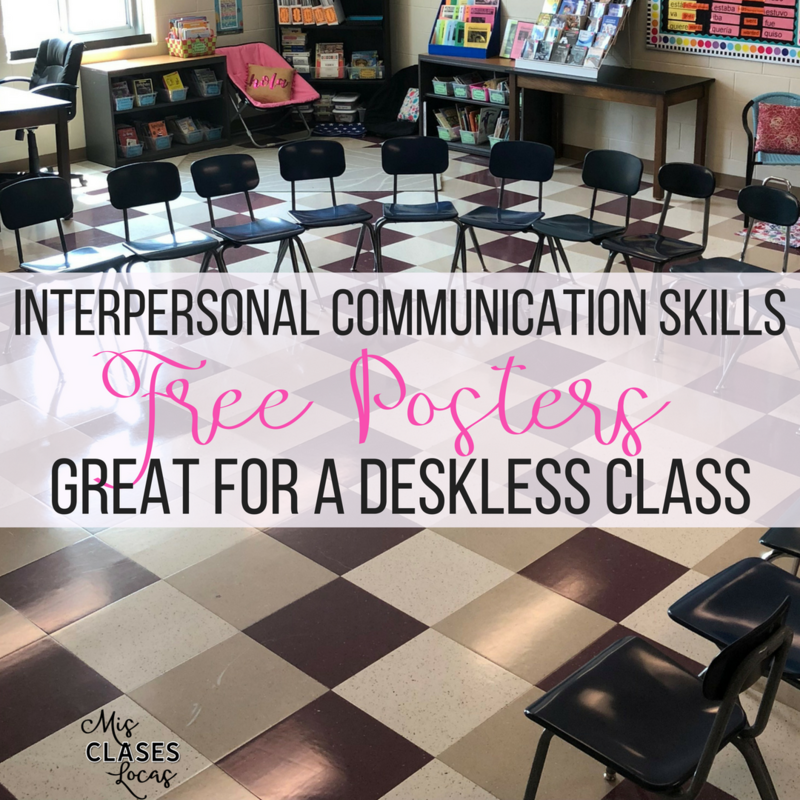 Inside: Interpersonal speaking skills rubric and posters to help with classroom management in a deskless CI classroom. Inside - Name Game Speedball. 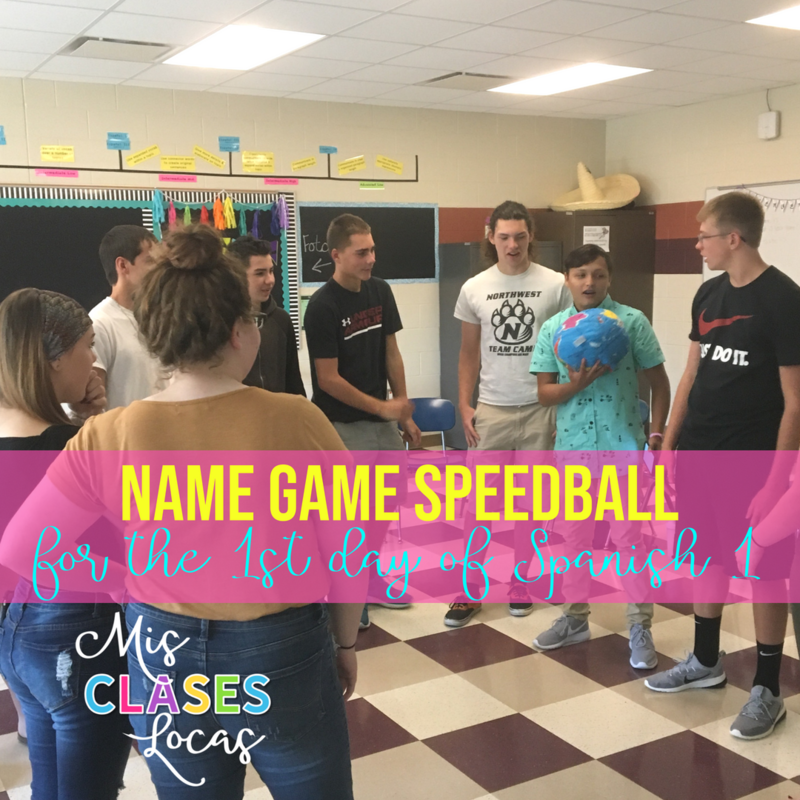 The best activity for any new group of students on the 1st day of Spanish class. A go-to lesson for the 1st day of Spanish 1. Inside: A review of the novice Spanish novel Juliana. 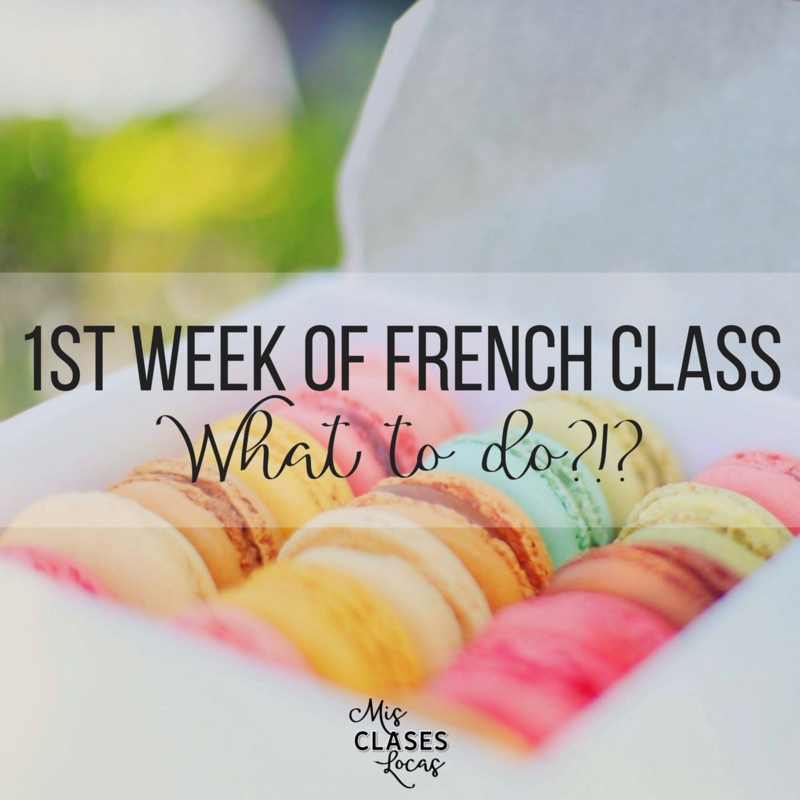 Inside: Resources for the first week of French class. 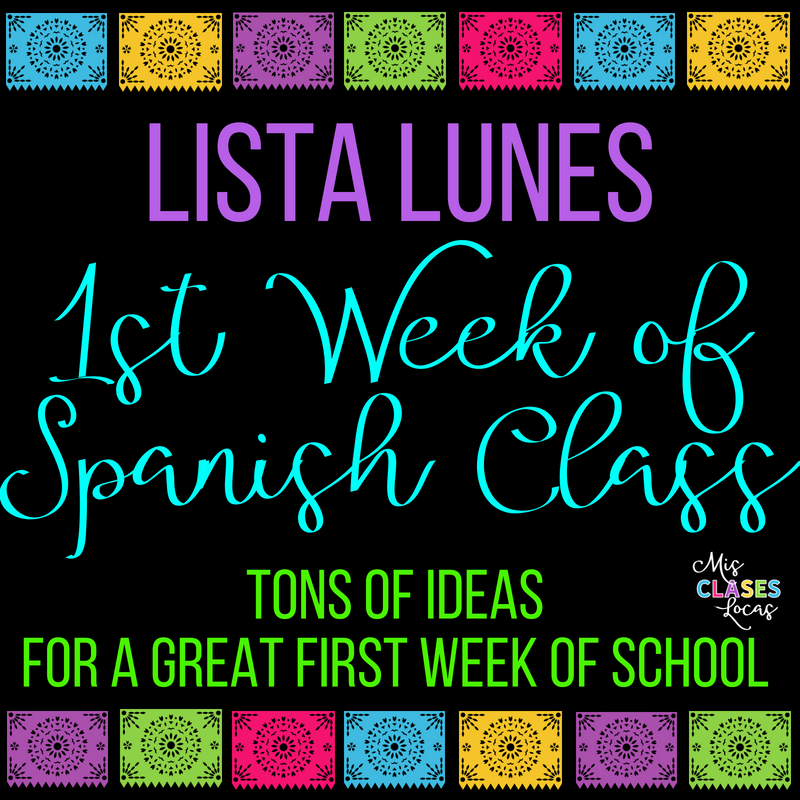 Inside: lista lunes includes everything you need for the first weeks of Spanish (& French) class. For more check out all of my back to school posts. 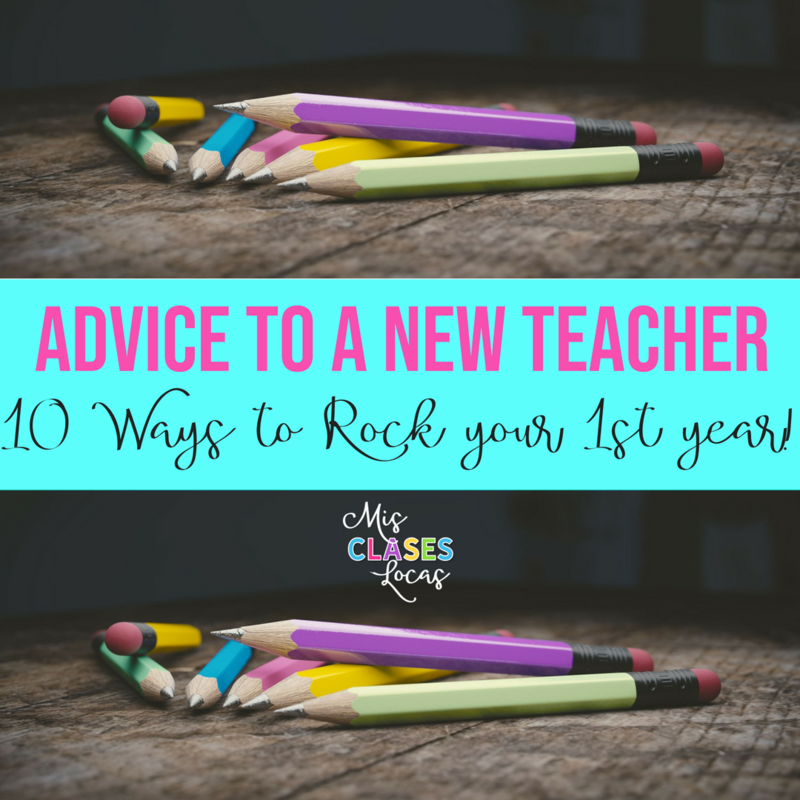 Inside: 10 ways to rock your 1st year teaching. Advice from a teacher who has been there. 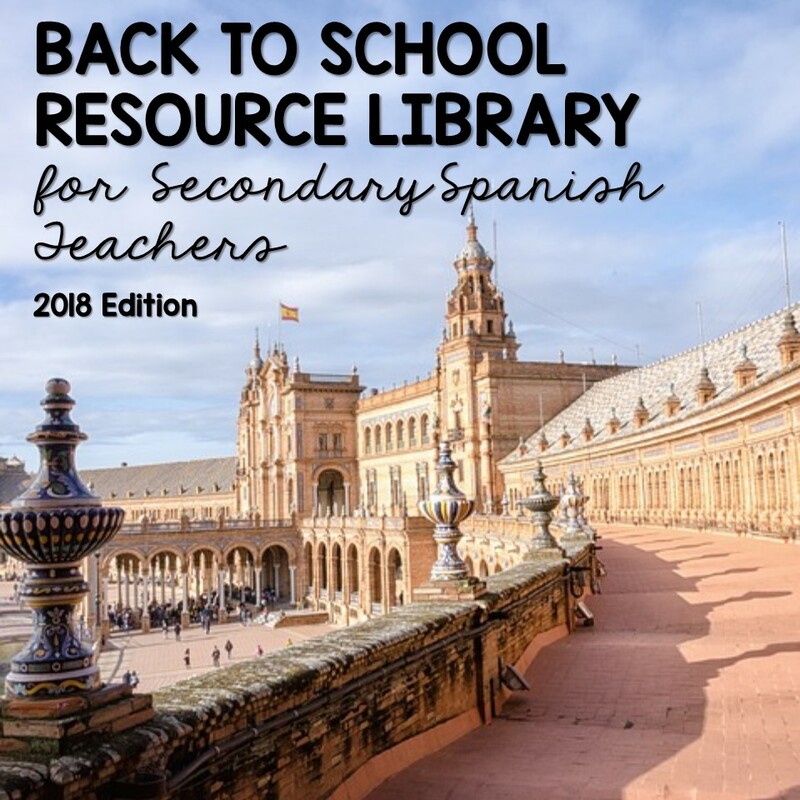 Inside: 38 Free Resources for Spanish class, perfect for back to school. 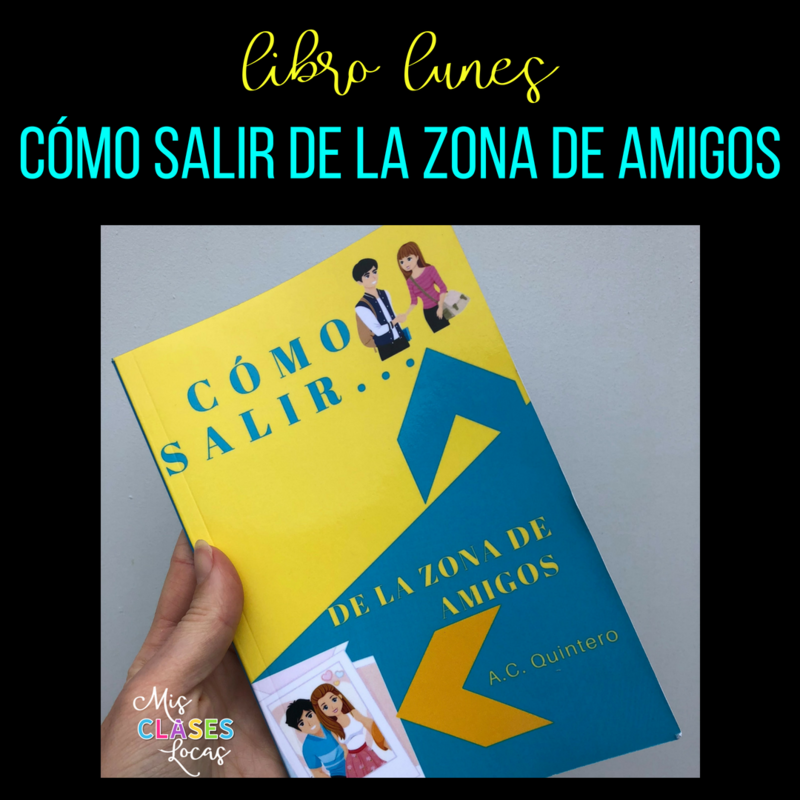 Inside: A review of A.C. Quintero's novel for Spanish class Cómo salir de la zona de amigos. 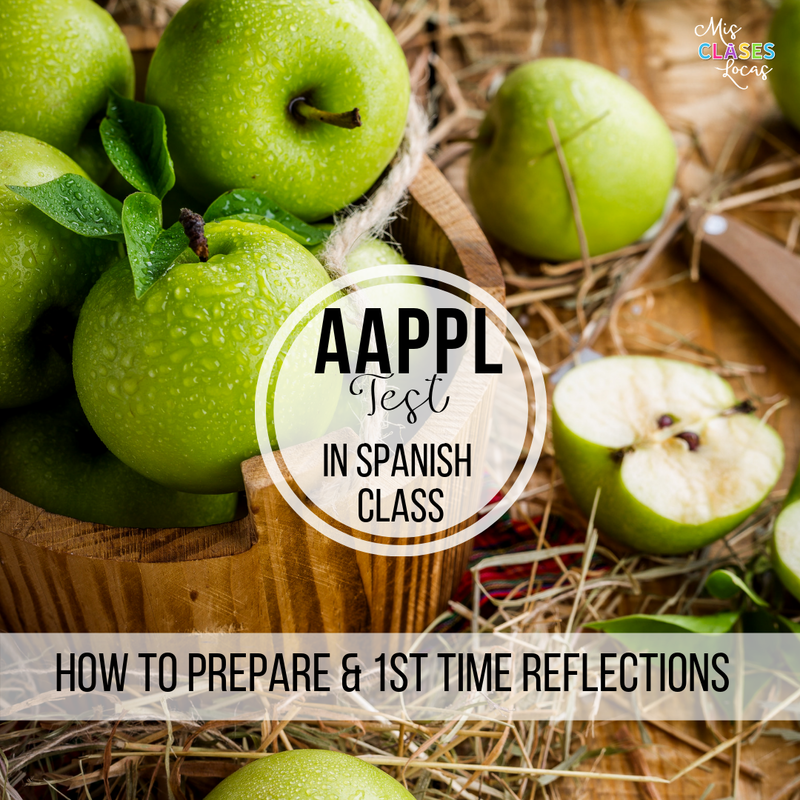 Inside: The first post in the Back to Spanish Class series on Secondary Spanish Space. 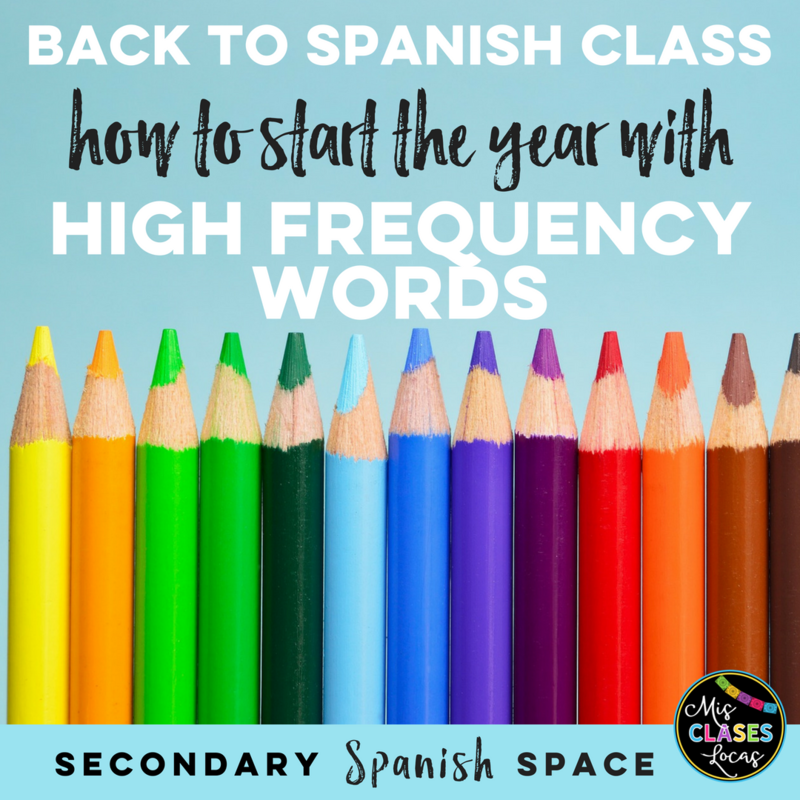 Find out how to start the year with high frequency words. 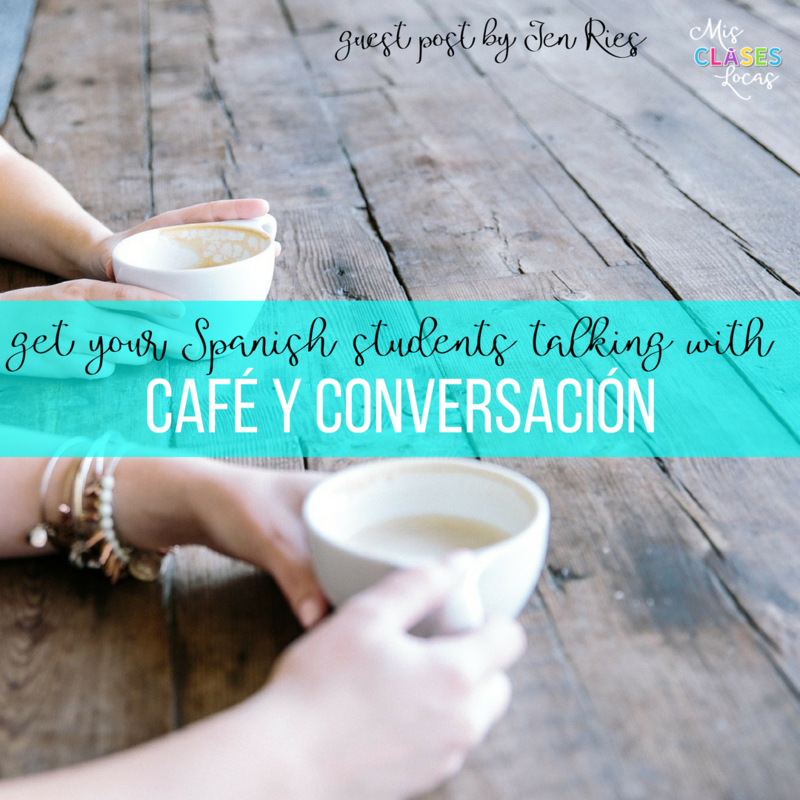 Inside: Guest blogger Jen Ries explains how she uses Café y Conversación to get her upper level students speaking in Spanish. 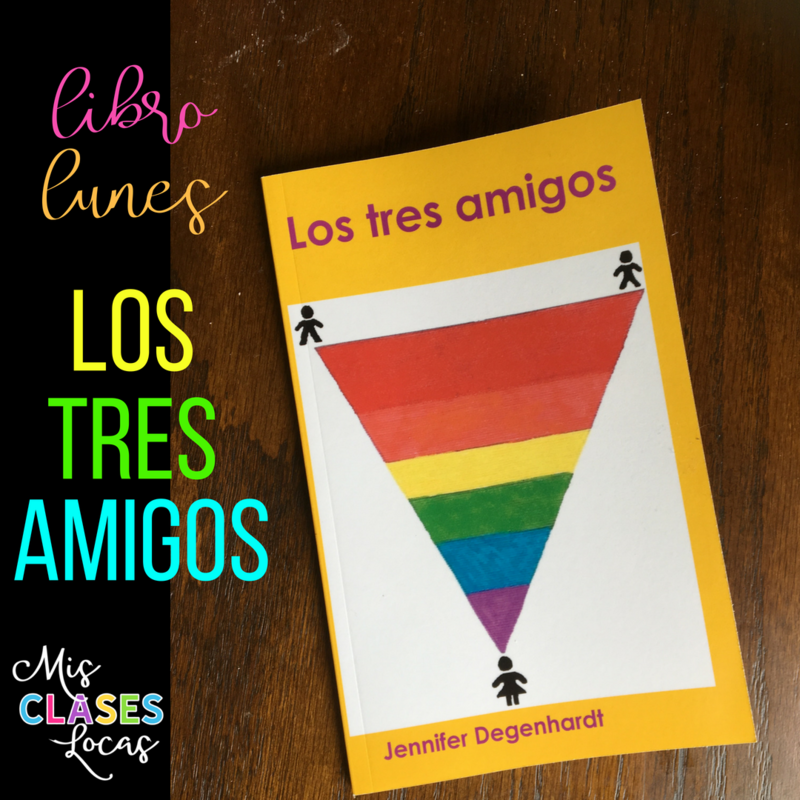 Inside: A review of another book you need for your classroom library, Los tres amigos by Jennifer Degenhardt. 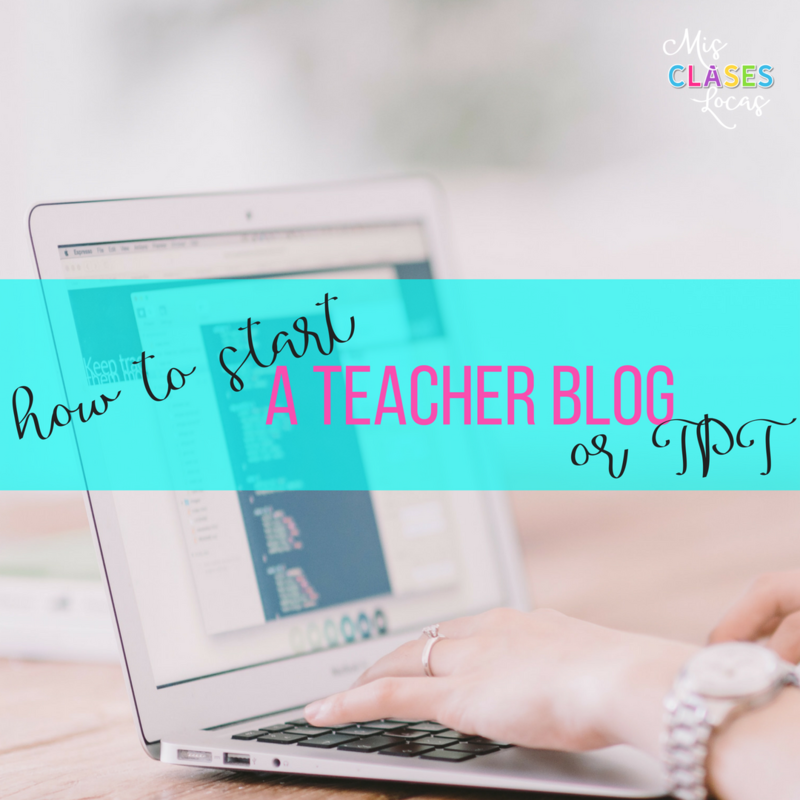 Inside: Tips for starting your own teacher blog or Teacher Pay Teachers (TPT) account. 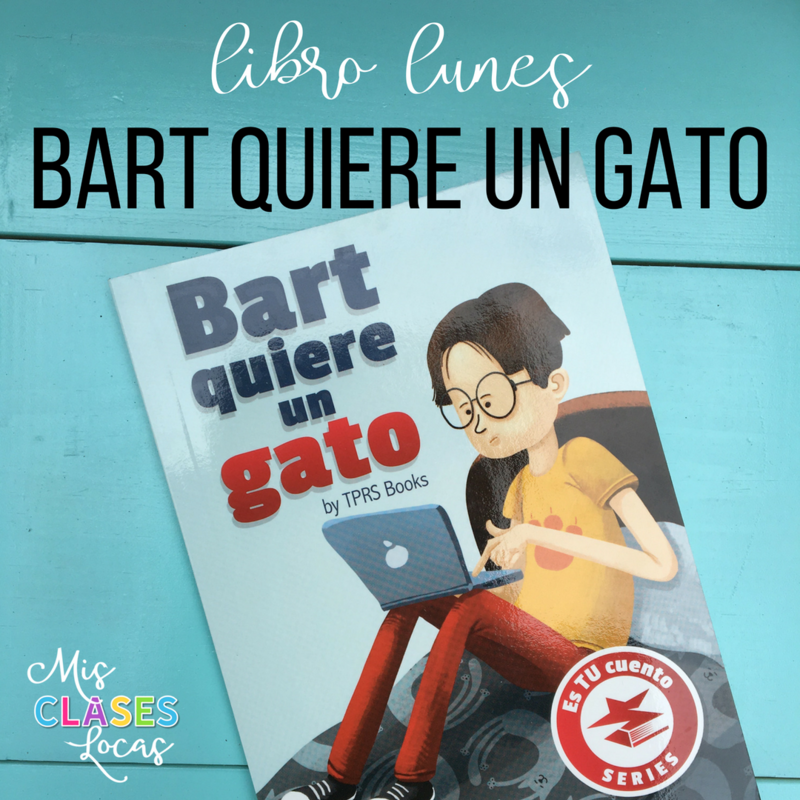 Inside: A review of TPRS Books' novel Bart quiere un gato with resources to use the novel in class. Inside: Scope and Sequence for Spanish 1-Spanish 4 using novels and comprehensible input curriculum without a textbook. Inside: Curriculum planning for a year of comprehensible input Spanish 1, Spanish 2, Spanish 3 & Spanish 4, as well as weekly lesson plans. I have been working on my year 7 CI curriculum without a textbook and due to some requests I thought I would do a pre-curriculum post explaining exactly how I planned it. As a disclaimer, remember I am the only World Language teacher in my entire district. I have a supportive administration who trusts me as the Spanish expert and allows me complete freedom in my curriculum. I understand that this is rare, but hopefully this will help you see some possibilities if you do get the chance to help create your won scope and sequence. Also, please remember this has been a multi year process and did not happen overnight. I just tried things out, failed on some attempts, had success with others and then tried again until I found what worked best for my students and I. Here has been my curriculum journey. As a department of one, I also have to have a sustainable program for me to implement with four separate preps. For me personally, this means I can not do story units or special person interviews in all levels at the same time. It is too exhausting for me and I am prone to loosing my voice. Novels are my bread and butter because I have gotten them down. Since I have done all the prep work up front, once we get rolling, I know I have a couple weeks of a well oiled comprehensible input novel machine. But, once again this is after four years of teaching with novels. I did the math and I have taught 53 full class novel units using 16 different novels. You can find all posts for these novels here or using the label novels. If you want to get started, check out Teaching a Novel 101 to help research, find funding, organize, plans teach and assess your first novel. So where do you start if you are dabbling in comprehensible input and want to try something new? Super 7 Units - Depending on the previous knowledge of your students, I would start with a Super 7 Unit either present, either as a review or to introduce important words. You could even keep going with the Sweet 16 as well. SOMOS 1/2 Units - Then I would do units from Martina Bex's SOMOS curriculum. It was how I figured out skills like personalized questions, movie talk, story asking, and many other activities as well. She lays everything out great for a beginner. 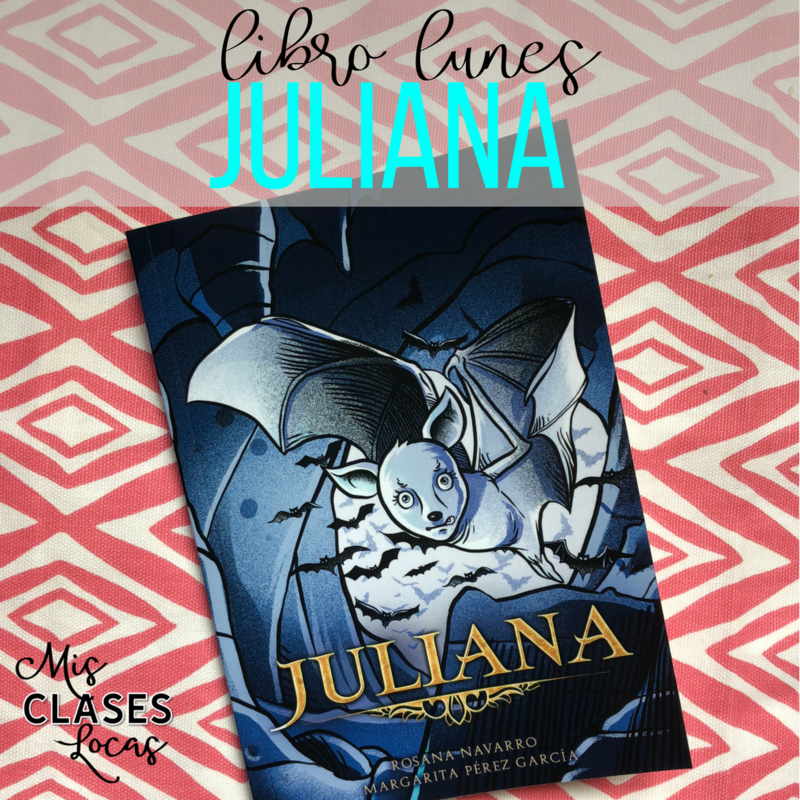 Novels - If you are able to get funding for a class set of novels, I would start with El capibara con botas in Spanish 1. (after about unit 5 of SOMOS). If your Spanish 2 students have not yet read a novel, I would start with Brandon Brown quiere un perro or Tumba. If they have read a book, I would do Esperanza or Fiesta Fatal. Sr. Wooly - These songs hook students on Spanish class and provide a nice break from always giving the input yourself. Super 7 Units - I would start the year with upper level classes Super 7 Unit either in imperfect or preterite, depending on your goals. It is a great class community builder and helps solidify important past tense words for future novels. SOMOS 2 Units - If your upper level classes have not had much CI, I would do some of Martina Bex's Somos 2 curriculum units. They will help build your skills and lay a foundation as well. Novels - There is no such thing as too easy of a novel, especially if it is the first one a group has ever read. My goal is to build confidence and have students feel successful with their first novel. I read Robo en la noche with my level 4 class to start the year for their first novel ever. At my new school we started with Esperanza and Felipe Alou in upper levels as their first novels. I like to pick ones with rich culture, but that are at a lower level to start. I like to include a variety of countries of study during a year as well. Sr. Wooly - Upper level students still love the dark, goofy Wooly humor and the break it provides from the deeper books we read and themes we explore. So how do you put it together in a scope and sequence? I start with the school calendar and make a Google Sheet with each week of the year. I add in breaks, conferences, and other pertinent information to see the year at a glance. I have all levels side by side, so I can see what everyone will be doing at the same time. This way I can spread out my own sanity savers like movie and Sr. Wooly units. It also makes sure I am not introducing a new unit in every class on the same day, as that is super draining. I start with cultural holiday units. These are some of my favorite things to teach and I have found that if I do not plan for them, I get caught up in other units and do not have time for them. 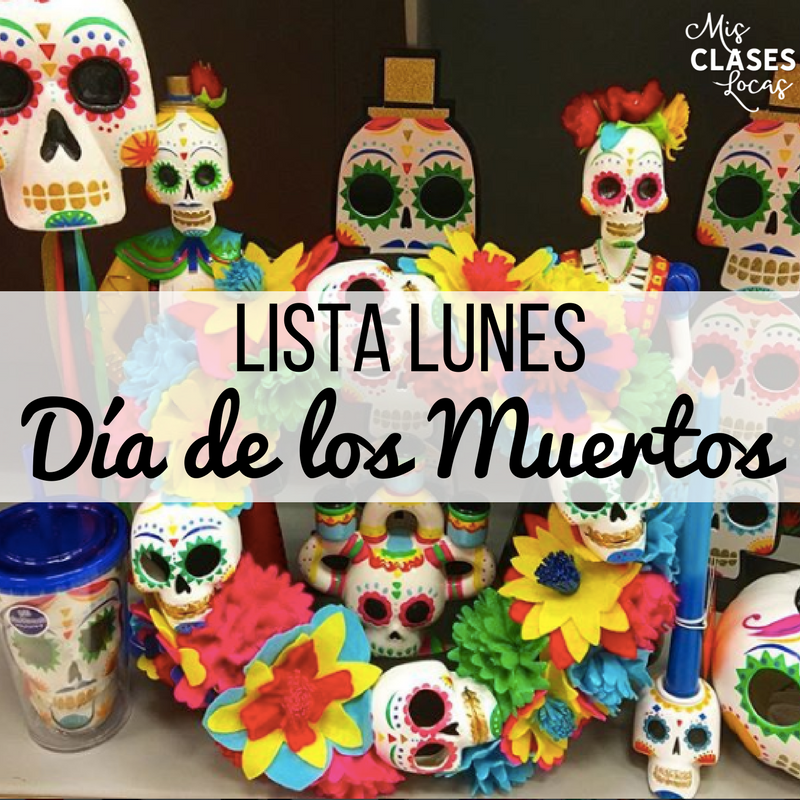 I block out the week of The Day of the Dead, as well as before and after winter break for a variety of holiday activities related to the Spanish Christmas lottery, 3 Reyes, etc. I also like to do Las Falls in Spanish 1 or 2 in March, as well as La Tomatina in Spanish 2 to start the year. We also learn about Mexican Independence Day in September and Cinco de mayo in May to make sure they know the difference! Then I put in the big novel units. I like to have about one per quarter. This does not mean that we read a book for one quarter, but we may do many activities and films related to the themes in the book. 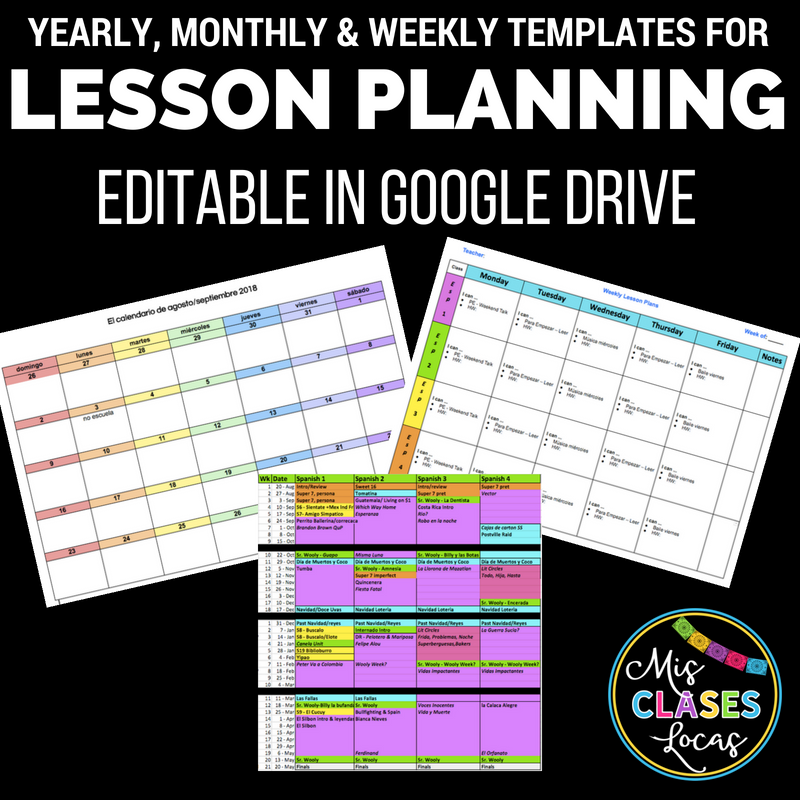 I put all of this together in a monthly plan, that I share with students as well. That way we are all on the same page and can see the end goals. I add in shorter units to round out the quarters and provide a break. These are usually about a week long and include Super 7 Units, SOMOS storytelling units, Sr. Wooly and film units. I understand that this is a rough plan that is self imposed by myself and that things will change. Some things will go longer than expected, some novels will bomb so we will power through to be done and things will come up that change the whole schedule. 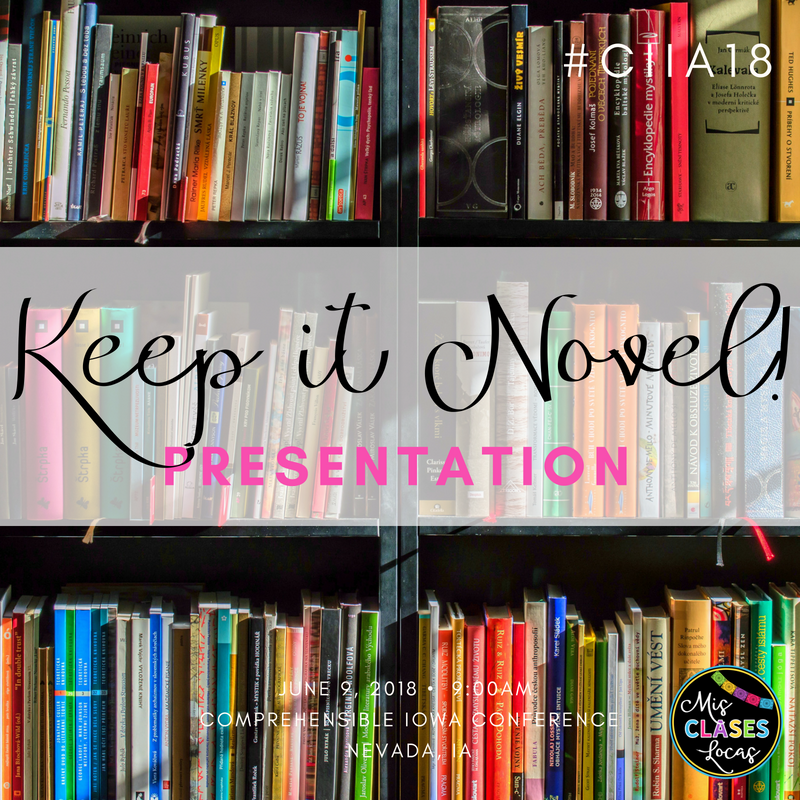 Inside: Resources for my presentation at CI: Comprehensible Iowa 2018 #CIIA18 titled Keep It Novel! It includes ideas for teaching with novels in a CI class. 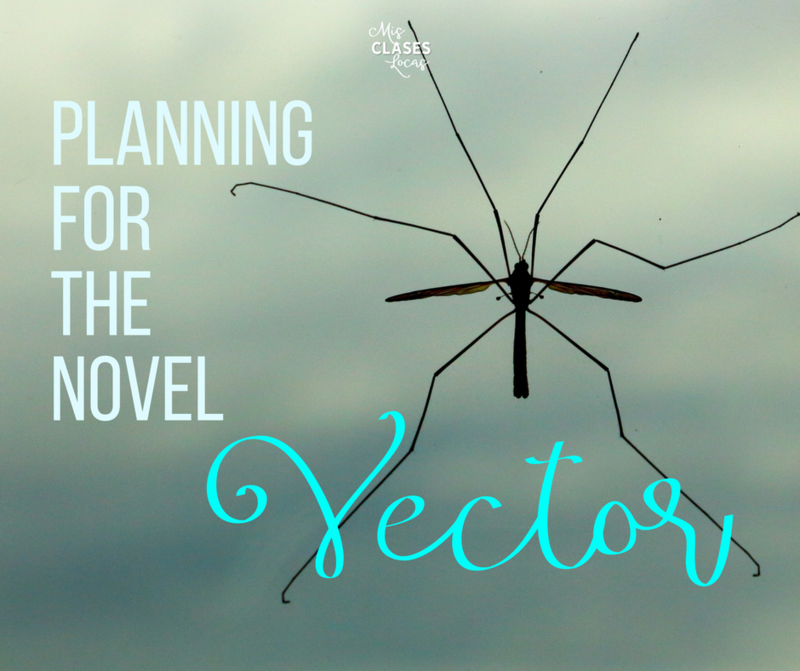 Inside: Resources for teaching the novel Vector by Carrie Toth from Fluency Matters. Inside: 20 Activities that can be used with any novel to introduce vocabulary, mix up comprehension questions, order of events, true/false, and retell. 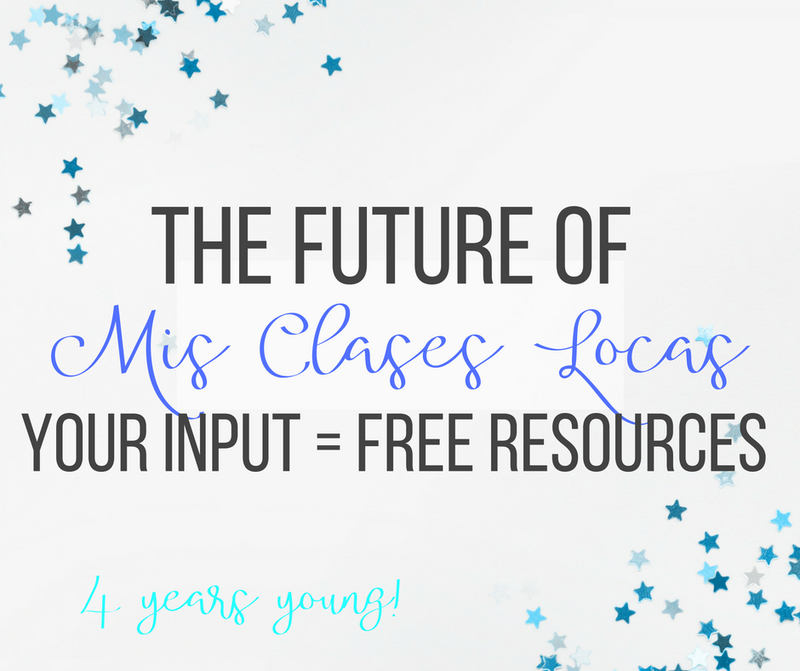 Inside: Celebrating 4 years of Mis Clases Locas with a chance to give me feedback and win free resources, books or money to spend at TPT. 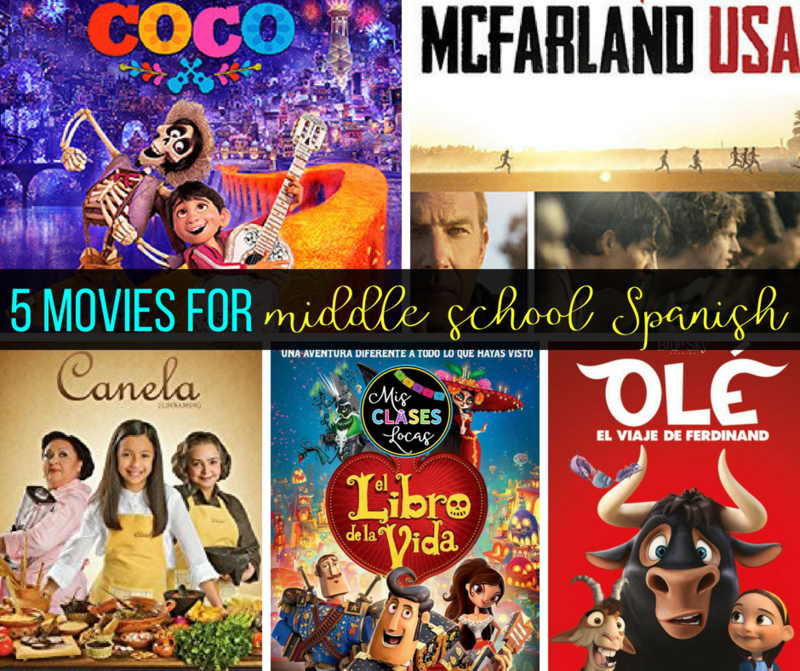 Inside: Movies that would be perfect to show in a middle school Spanish class, or a lower level or more conservative high school Spanish class that have a rich cultural background for Spanish class. 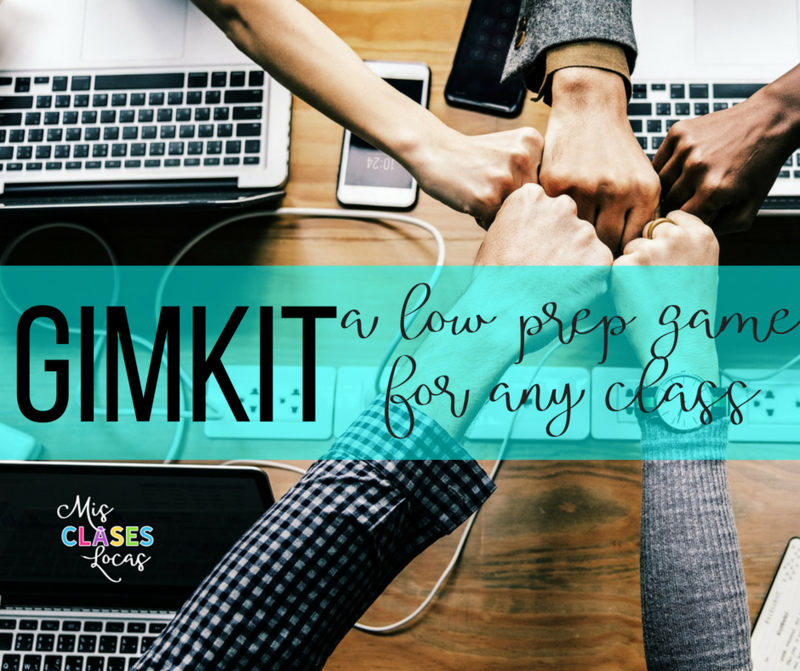 Inside: How to use Gimkit to mix up your class. This interactive, computer based game is low prep, but high engagement, especially at the end of the year. 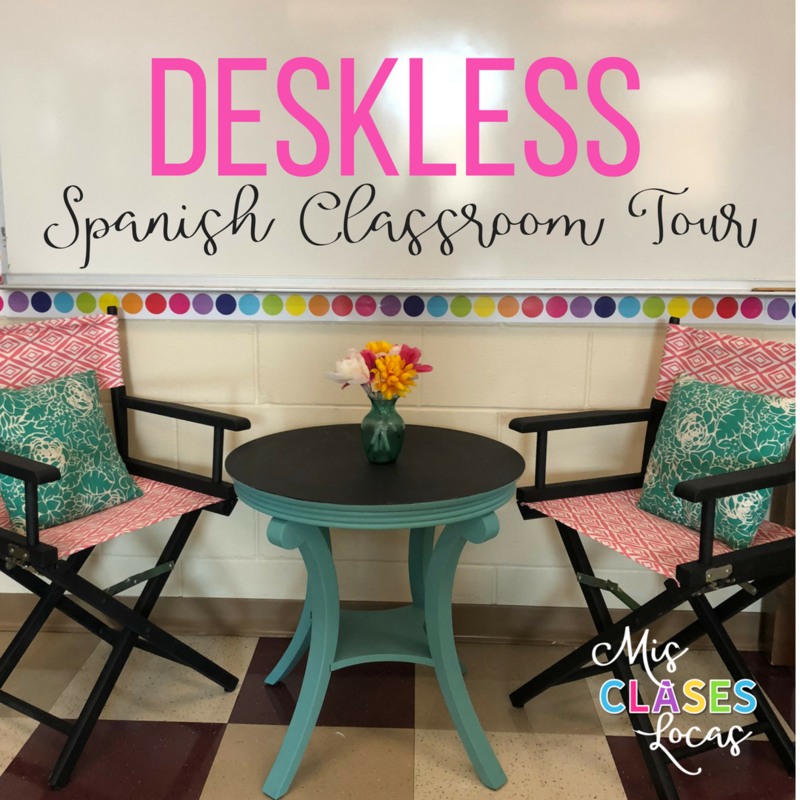 Teacher Appreciation - No prep resources for Spanish class at a steal! Inside: Teacher Appreciation Week in Spanish class- No prep resources for Spanish class at a steal! Inside: A no prep way to get your students speaking in Spanish the whole class period. Hey, hey we made it to May! Is anyone else feeling teacher in May exhausted? I think we can attribute it to all of the end of the year events, award ceremonies, graduation parties, concerts, finals, planing for next year, and more. At the same time, I know I have those classes that have just plain given up. With nice weather and late night track meets, my first hour is not there mentality, and that is if they even show up to school. But, today I had a ray of light in that class and with a last minute idea with 0 prep on my part they spent 40 minutes speaking in Spanish! For some background information, I did this activity with my Spanish 3 students, who just finished Vida y Muerte en la Mara Salvatrucha. Wednesday they finished the book and as a last minute something to do after reading, I told them to describe the symbolism of each of the 16 chapter's chapter artwork (an idea from the back of the book). They were to be prepared to for discussion Thursday on the symbolism of each chapter. In reality my plans for Thursday just said "review book with interpersonal,"and I just came up with what we did on the fly. On the day of the discussion, we moved the chairs into pairs. (We ended up with one group of three due to an odd number). Students were allowed to use their books and symbolism notes, since this was formative practice and I wanted them to be able to cite evidence to back up their justification. I also was more concerned with getting them to speak and did not want them to run out of things to talk about if they had an unprepared partner. I set a timer for 4-5 minutes and students just talked about the symbolism of the art in chapter one and two. They also just talked about the chapter in general, which was fine by me as it was a great review for everyone involved and they were staying in Spanish. When the timer went off, students rotated and then talked about the next two chapters. To be honest at first I did not even set a timer, because I wanted to get a feel for how long they could go and then rang a timer when the conversation seemed to die down. While they talked, I walked around with a clipboard of their names, taking a few notes. (This helped many stay on task in Spanish, and they may have even thought they were being graded). 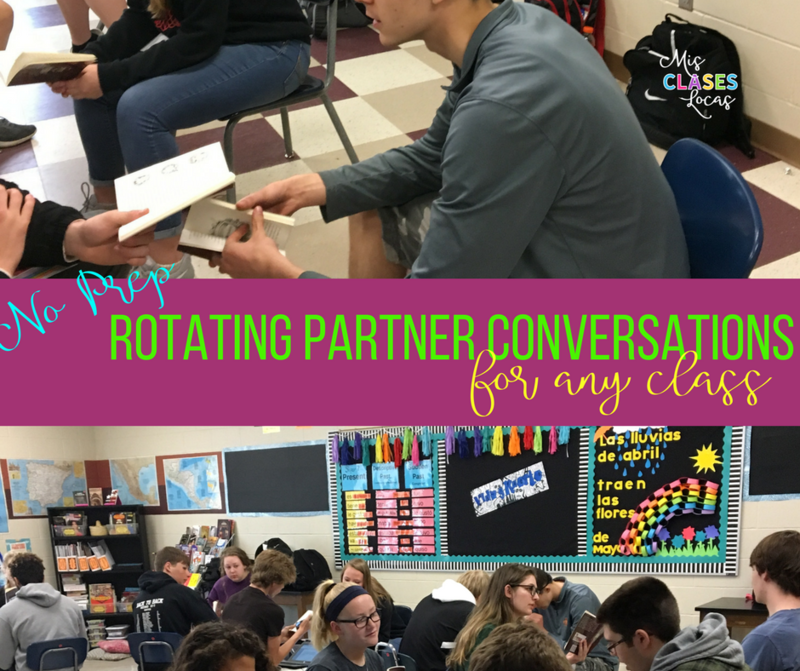 They talked with eight different partners, which helped to keep the conversation fresh and provide a variety of different levels of speaking partners. Overall I was SO PROUD of this class for staying on task in Spanish for that long. It was an excellent review for those who have missed class as well as helped them dig deeper into the symbols and deeper meaning instead of just superficial comprehension questions. It was very little work for me and did not require preparation in my part. I got to save my own voice and energy, as they did all the work! 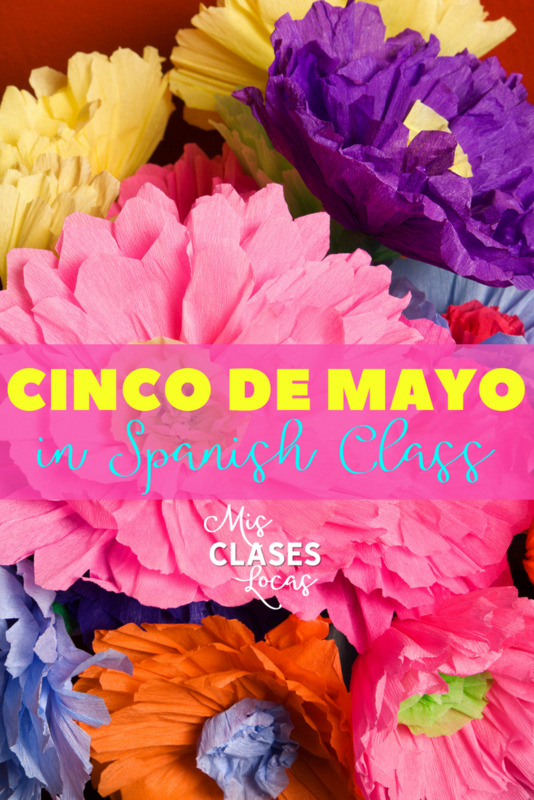 Inside: Cinco de mayo ideas for Spanish class that celebrate the culture of Mexico. 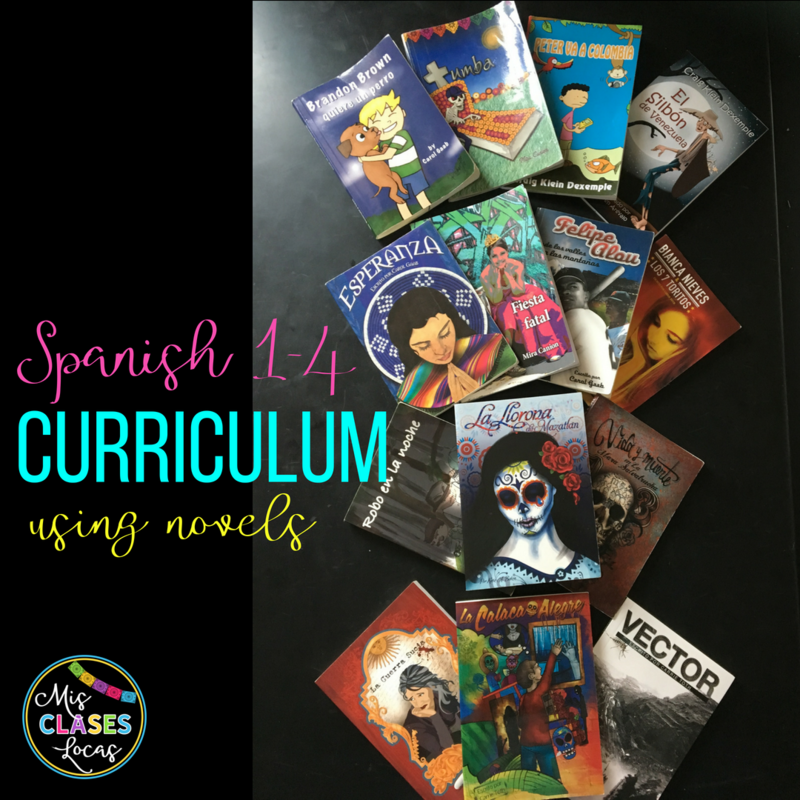 Inside: a new book for Spanish class you need to get for your classroom library!